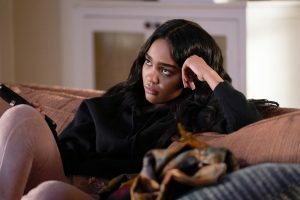 Black Lightning — “Three Sevens: The Book of Thunder” — Image BLK106a_0102b.jpg — Pictured: China Anne McClain as Jennifer Pierce — Photo: Richard Ducree/The CW — ÃÂ© 2018 The CW Network, LLC. All rights reserved. Superheroes run in the Pierce family on Black Lightning. Jefferson (Cress Williams) is the title Black Lightning, out of retirement to clean up Freeland. His older daughter Anissa (Nafessa Williams) has powers too. So where does that leave Jennifer (China Anne McClain)? Franchise Fred caught up with McClain at January TCA. The fan favorite Descendants actor filled us in on what’s coming up for Jennifer. Black Lightning airs Tuesday nights at 9 on The CW. 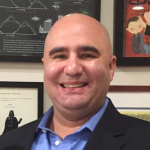 Franchise Fred: Do you want to get super powers like Anissa has? China Anne McClain: Yes, I do and I have had a moment we’ve discovered and stuff. That definitely happens this season and it’s in motion so it’s been really great. She’s a great mentor on the show for me, being my older sister and getting her powers first. FF: Can you relate to this rebellious side where she goes to the club where gangsters hang out? China Anne McClain: [Laughs] Yes, I can. Being a teenager myself, I know what it’s like to want to go and chill and hang out with your friends. And also, since he is like Black Jesus in Freeland, I want to break the mold and be like I don’t want to be like my dad. I don’t want to be like Anissa. I don’t want to go to med school and do that. I want to do my own thing and have fun. I can definitely relate to that. Black Lightning — “The Resurrection” — Image BLK101i_0206r.jpg — Pictured: China Anne McClain as Jennifer Pierce — Photo: Mark Hill/The CW — ÃÂ© 2018 The CW Network, LLC. All rights reserved. FF: What do you think makes her fearless enough to go to that club? China Anne McClain: I think honestly her family and her dad makes her fearless. She’s lived behind this beautiful white picket fence in Freeland. She hasn’t really seen the side of Freeland that’s rough and that’s raw. That’s where she wants to be, but it’s dangerous. I think she realizes that after the first couple of episodes but it’s definitely because of her family that she’s fearless. She’s behind a wall. FF: Can you relate to her desire to be socially active and protest? China Anne McClain: I can definitely relate to that. She’s very aware. 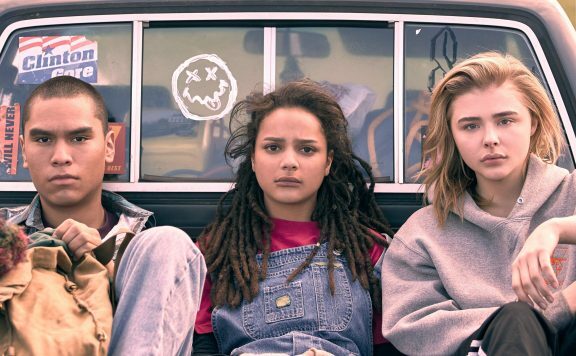 She is a teenager and she is rebellious and has some issues she’s working through, but I do like the fact that she’s still like, “I’m a young black female” and that means something to her. Different protests that happen, she’s involved sometimes because she’s like, “This is a part of my life as well and I want to see that part. I want to be directly involved with that part.” I can relate to that sometimes. FF: Have you been active in the last few years protesting? China Anne McClain: Oh my goodness. You know, social media is work but it can be a beautiful thing. It can be beautiful because you can protest your issues, because I’m always running around working in different states and I’m never at home. I can protest and say what I feel there so that people know and that they’re aware. But I would love to be involved with marches and protests on different issues, black and LGBTQ and all of that. I would love to be involved with that. 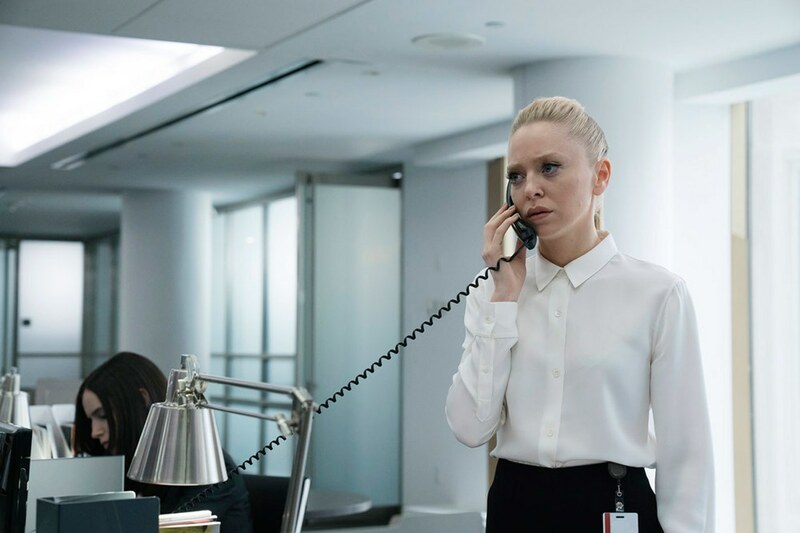 FF: Jefferson wants his daughters to take the path of least resistance. Have you parents supported you coming out on issues? China Anne McClain: Oh yeah. My parents have always taught me to say what’s real to me. It can be controversial sometimes how I feel, and I’m still young. So I’m always asking their opinions on things but they definitely encourage me to say what I feel no matter what it is, because that’s the part of being unique to who you are is giving your opinion and showing people what you believe. They’ve always encouraged that. FF: She has a nice uppercut. Did you learn how to throw a punch? China Anne McClain: I actually did learn how to throw a punch. We have people on set all the time doing stunt training. So whenever we would want, we could just go in there and do boxing. We have to learn to fight. My character gets a bit scrappy in the first season. 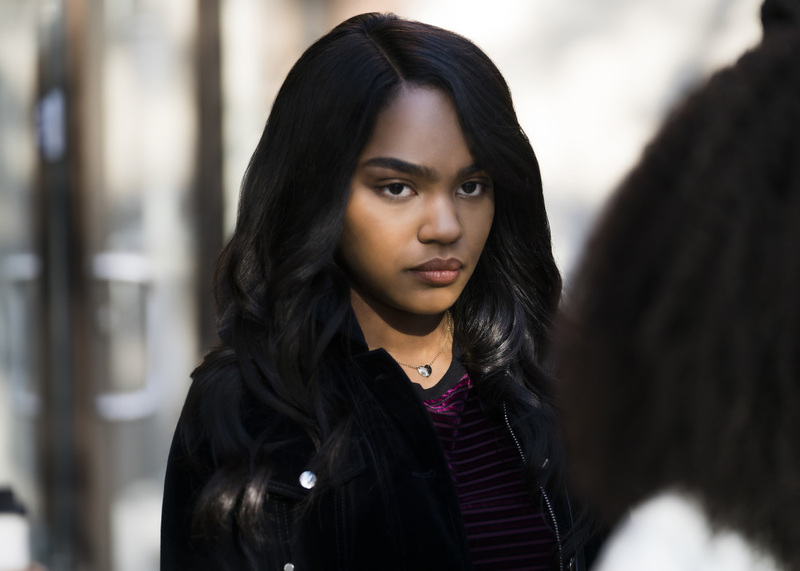 Black Lightning — “And Then the Devil Brought the Plague: The Book of Green Light” — Image BLK105b_0370b.jpg — Pictured: China Anne McClain as Jennifer Pierce — Photo: Bob Mahoney/The CW — ÃÂ© 2018 The CW Network, LLC. All rights reserved. China Anne McClain: Not as much as Cress and Nafessa but I have been in there. The people on the show doing the stunts are so great. They’re so patient. They work with you. They make sure everybody’s safe and everything is cool. The training is the most fun part. FF: Did you read the comics? China Anne McClain: I read a lot of the ‘70s comics. I have to read a lot of the 2000s because in the ‘70s, the girls were’t even in them. I just enjoyed reading them because he had an afro and it was the O.G. comics. I’ve got to get into the new ones. FF: He didn’t have daughters yet? China Anne McClain: If he did, they didn’t focus on them. They more focused on Black Lightning, his backstory, his relationship with Lynn, his ex-wife. I loved reading that because instead of it being research for my character, I just got to enjoy it for what it was and become a fan of it outside of my character. FF: When Jefferson unretires from being Black Lightning, does that take his time away from the family? 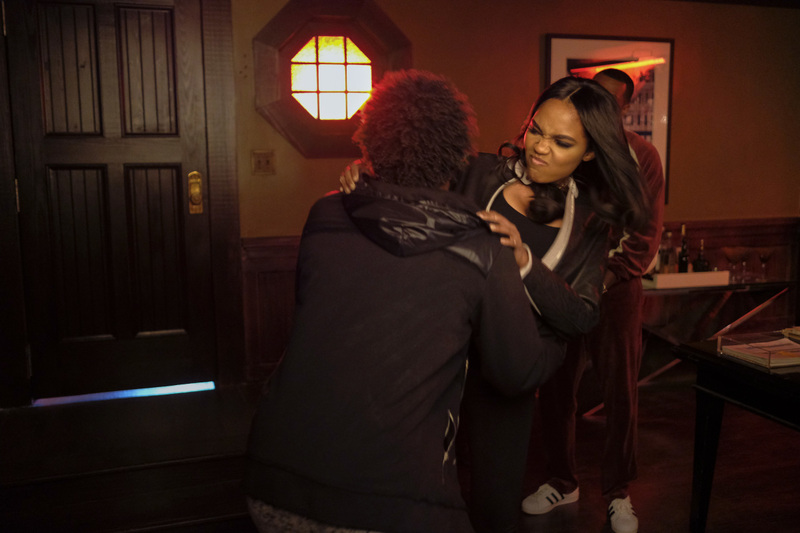 China Anne McClain: It does put a strain on the family. It also puts a strain on the family, the girls learning that they have powers as well. At the end of the day, they didn’t know that he was Black Lightning. He didn’t tell them. So there are things that come with that and also them just being young and having this thing that’s really unique and different. Nobody else around them has to deal with it, especially my character. She wants to be that normal girl. She doesn’t want to be the queen of Garfield. She doesn’t want to be that, so there’s a lot of conflict when it all comes up. FF: Do they find out? China Anne McClain: That he’s Black Lightning? I’m just going to nod my head. You’re right. It’s inevitable. Especially when they find out they have powers. It’s kind of like, “Where did this come from?” It all leads back to him. 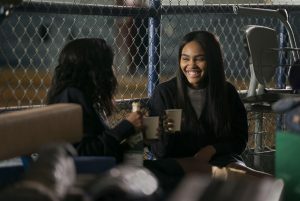 Black Lightning — “LaWanda: The Book of Hope” — Image BLK102b_0017r.jpg — Pictured (L-R): Kyanna Simone Simpson as Keisha and China Anne McClain as Jennifer Pierce — Photo: Richard Ducree/The CW — ÃÂ© 2018 The CW Network, LLC. All rights reserved. 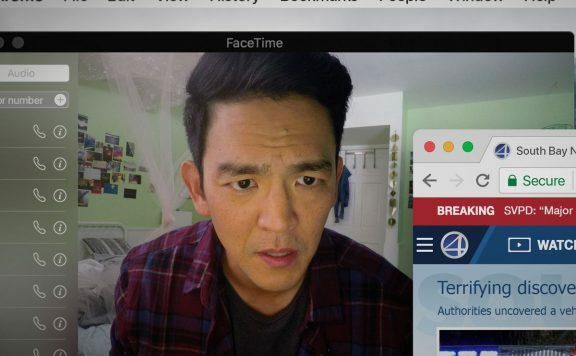 FF: Are there more scenes in high school? 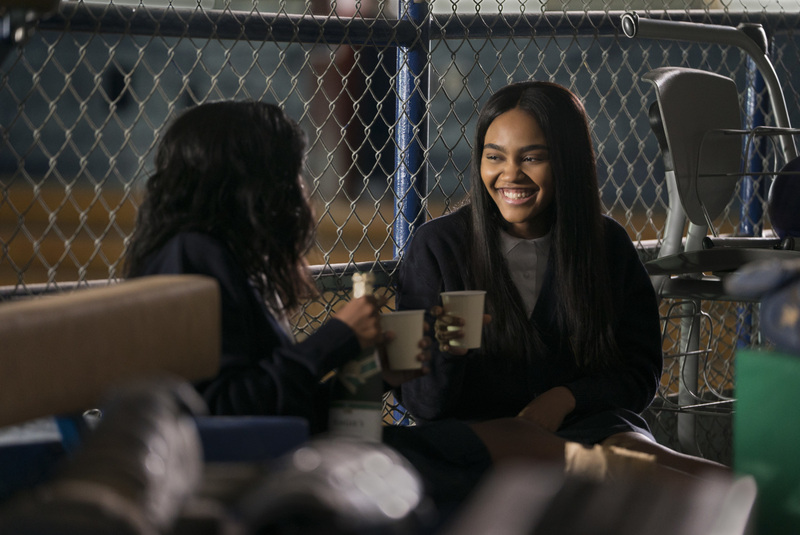 China Anne McClain: There are a lot more scenes of Jennifer in school. You get to see a lot of that which excites me. You see the adults on the show and you deal with that aspect. Then Anissa’s in college and you have that. My character’s in high school so there’s a character for everybody of every age group which I enjoy watching. FF: What is her high school life like? China Anne McClain: She gets into some trouble at school. She makes good grades and she’s a good student because she is driven and determined like her father. There are some things popping up on the school grounds that just shouldn’t be happening. FF: She doesn’t want to be the queen but is she popular? China Anne McClain: Yes. She’s popular just because of who her father is. All the boys know, don’t mess with her. All the girls, some of them like her, some of them don’t. That just comes with her father being the principal and also an Olympic gold medalist and all these other great things. FF: Have you had any time to have a normal life yourself? China Anne McClain: This is all I know. I’ve been doing it since I was five so to me, this kind of is normal. Doing events like this, meeting awesome people like you and being on a stage like this is normal for me. FF: Do you watch a lot of TV? China Anne McClain: I do watch a lot of television. I love TV. I love movies. I’m a big movie buff just because I love watching great actors and learning from them. And also, I’m looking into producing and writing and directing and other things. So learning how to put a show together is very important for me. I was just watching Peaky Blinders because I love how they just put that show together. And that’s a foreign show but you can never learn from too many places. 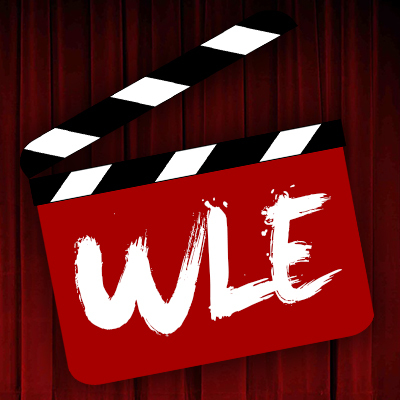 FF: What movies have you liked lately? China Anne McClain: I just saw Justice League and I loved Justice League. And Moonlight was really, really good. Se7en, Usual Suspects, all those movies. There are a lot I’m forgetting but I love all different types.